Big news of the week….well first there’s Trump. 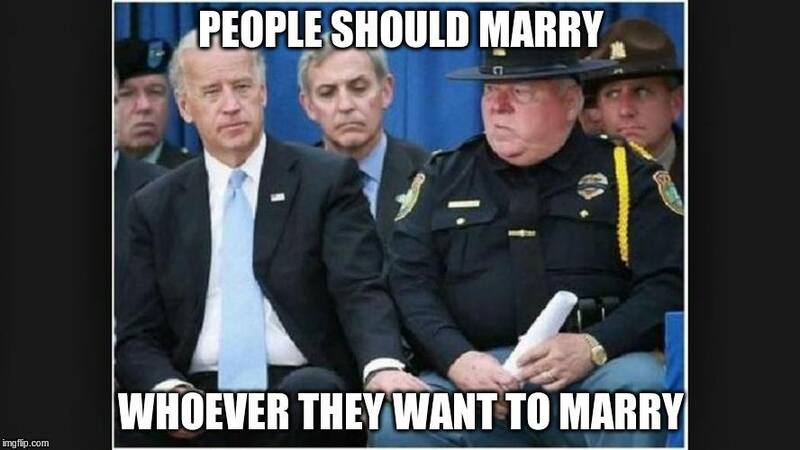 But tada…..THE JOE BIDEN PRESIDENTIAL CAMPAIGN. Indeed, secret meetings everywhere and say what? Elizabeth Warren? All the scoop…..sign in and enjoy. FOX NEWS SUNDAY (Fox Network): Republican presidential candidate former Gov. Mike Huckabee, R-Ark; Josh Alcorn, a senior adviser to the Draft Biden campaign. MEET THE PRESS (NBC): Republican presidential candidate Carly Fiorina, Gov. Jerry Brown, D-Calif.
FACE THE NATION (CBS): Republican presidential candidates Sen. Ted Cruz, R-Texas, and Gov. Chris Christie, R-N.J; Documentary Filmmaker Ken Burns, creator of The Civil War documentary on PBS. THIS WEEK (ABC): Republican presidential candidate Gov. Scott Walker, R-Wis., and Democratic presidential candidate former Gov. Martin O’Malley, D-Md. STATE OF THE UNION (CNN): Republican presidential candidate Dr. Ben Carson. His name is Josh Alcorn and is now working for our Beloved home-grown Delawarean VP Joe Biden. 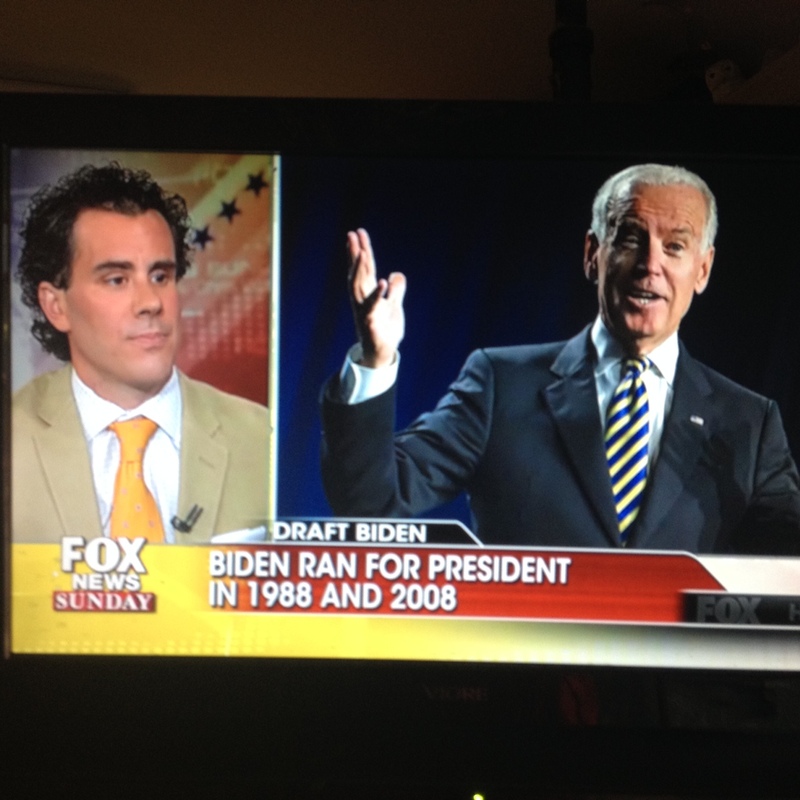 At least as we are to believe for during his designated time on Fox News Sunday he tried, quite well actually, to convince us that Biden is the man to wrest the presidency away from Donald Trump. Seriously yon ladies and gems, fine readers extraordinaire to be reading my words, can you imagine a debate between Trump and Biden? Open yon minds and explore the possibilities. Biden has hair plugs and Trump has processed straw on his head so right there begins the giggles. Biden makes gaffes while Trump spends hours telling us how wonderful he is. Republican presidential hopeful nominee, Mike Huckabee, former Governor of Arkansas, gave a good discussion of immigration and pay attention yon readers. For absolutely everyone discussed immigration today and Trump is right….without him nobody would be talking about illegal immigration, especially the political class. Fox News Sunday was the only of the Sunday political talk shows which discussed the Planned Parenthood horror. This weeks, folks, we learn how to cut into an unborn baby’s face in order to better retrieve an intact brain. Meet the Press-Moonbeam! We have Moonbeam! Carly Fiorina appeared on Meet the Press this week and she was quite adamant that Hillary lied all the hell over the place about Benghazi. Meet the Press host, Chuck Todd, was shocked….SHOCKED, I tell you, that anyone would suggest Hillary would lie. Perish the thought. Fiorina, former CEO of Hewlett-Packard and wannabe Republican VP nominee (I always say she’s going for VP to ascend to the presidency after serving for 8 years). We also had an interview with The Donald, but of course he’s everywhere this week. And for good measure, we had Governor of California, Moonbeam Jerry Brown. Goodness I remember him from my incense and marijuana days and somehow those people elected him again. It was on this show that we learned of a rumor that Sheldon Adelson, big money guy for the Republican party, met with Hillary’s people Seems the scuttlebutt is that Adelson wants to help save Hillary’s campaign because he’s so sure she will lose to the Republican nominee. The guy from the Politico asserted that Trump is actually hurting Ted Cruz. I do see the possibility of a Trump/Cruz match up of sorts but once Trump drops out I see Cruz stepping right up to fill the void. Some more discussion of a Biden run. It will surely be in all the news this week. We here that three Americans attacked the jerk who had plans to shoot and cut up everyone of a French train. They stopped him due to suspicion roused when he exited the airplane bathroom with an AKA slung over his shoulder. Heresay is that the French all took off running while America saved the day. Some discussion about the stock market on this show and yeah, since I myself am losing a fortune every day, what the hell is going on? Blue chip stocks taking big dives. Dr. Ben Carson, one of my favorites, was on this show and he said something intriguing. When asked by host-not Jake Tapper this week, if he would consider being a running mate with Donald Trump, Carson said “all things are possible” though he admonished such speculation is now too premature. “All things are possible” is hardly a sound negative. Former Secretary of the Navy Jim Webb was on Late Edition and he too was kind of coy. When asked about the possibility of a Biden campaign, Webb mentioned that he met with VP Joe Biden a month ago. First thing I thought is why he was mentioning this? And, indeed, the host did ask Webb about this meeting and then said, you got to smile, that private meetings are best kept private. So why did he mention it in the first place? Good discussion of “anchor babies” as a term on this show but come on…..it gets so old. Seems the Hispanics are angry because that term only refers to Hispanic babies born in America of illegals. “Anchor babies” refers to babies born of people in America for some other reason besides being a citizen. The popular perception is such babies are automatically granted American citizenship and their families can now live in America that the family not be torn asunder. There is no specificity that such babies are Hispanic. They just want some minority to be insulted cause we all can be insulted given enough time and this should be stopped in every instance. So the BIG scoop of the day! 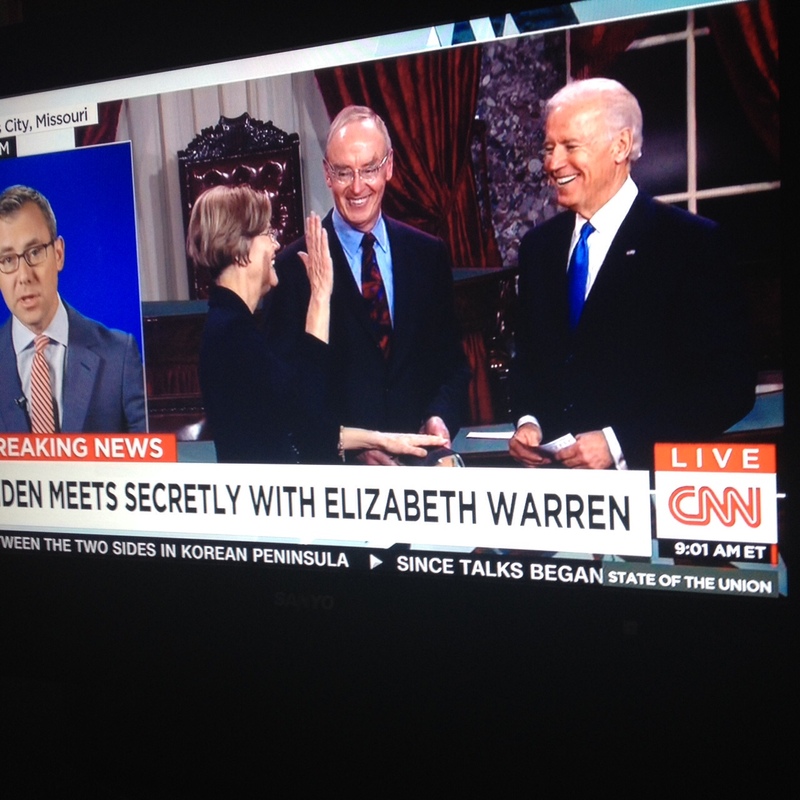 Seems VP Joe Biden met with Elizabeth Warren, esteemed Senator from Massachusetts, at Biden’s Delaware home. A Biden/Warren run against Hillary? So it’s all Trump all the time but I’m okay with that. I am amused and frankly thankful that the man is making them talk about things they’d rather not discuss. More than anything, this week, we got hints, winks, nudge/nudges about a Biden presidential bid for the Democratic nomination. Guys, I know y’all love Hillary. But she’s got big problems. For the Clintons have, for about forever, been corrupts and dishonest as they come. Even now Hillary won’t suffer for flipping America the bird about her emails cause you know what? I’m Secretary of State, just say. I’d know without anybody telling me that having my email delivered to my home is not such a good idea. But the Clintons never suffer any criminal consequences for their actions. It’s very possible that a tug out of the presidential race is possible. Remember Ted Kennedy? He didn’t go to jail for drowning a girl and leaving her in the pond but he did have his Democratic presidential aspirations dissolved. 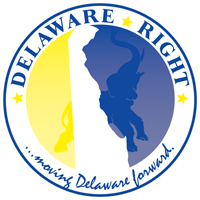 NEXT : Got some Tidbits all ready to go…good and gossippy Delaware political talk. Working on interviews. One Comment on "The National Scene-The Sunday Political Talk Show Report on 8/23/15"
The Republican party owes a lot to Trump who keep the uneducated resentment driven rubes who make up much the republican party from looking at issues like will my social security and medicare be secure or will I lose it to billionaires to get another tax cut..